Why not gift this amazing experience to an adventurer for a special occasion? 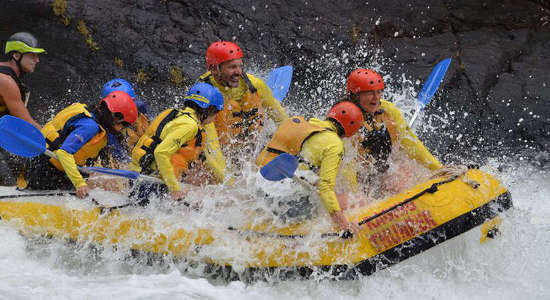 Step into a purpose-built raft on the waters of Cairns' Tully River or Barron River and prepare to experience up to five hours of white water rafting thrills and exhilaration, with guaranteed water levels all year round! 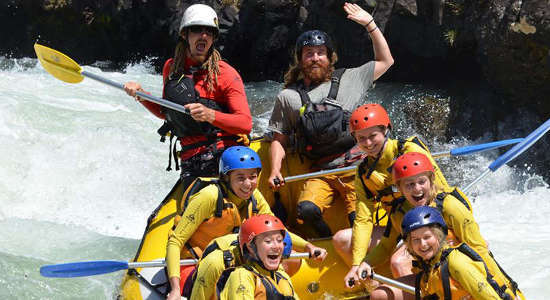 Rafting the Tully and Barrons Rivers, which are widely regarded as the best rafting river across Australia and New Zealand, are experiences anyone can do as no experience is necessary and all tuition will be provided on the day. Choose to gift a full day river rafting experience on the Tully River or Barron River near Cairns for the ultimate thrilling day out. A gift voucher for a full day of wonderful rafting on the popular Tully River, which boasts grade 3-4 rapids - challenging for all. More information here. 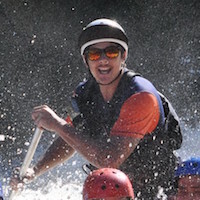 A gift voucher for a half day of white water rafting the grade 3 rapids on the Barron River. Buy this as an epic Cairns gift online here! "Make sure to let your River Guide know if you?re nervous or if you?re really enthusiastic about the day, then they can tailor the trip more to suit your expectations."